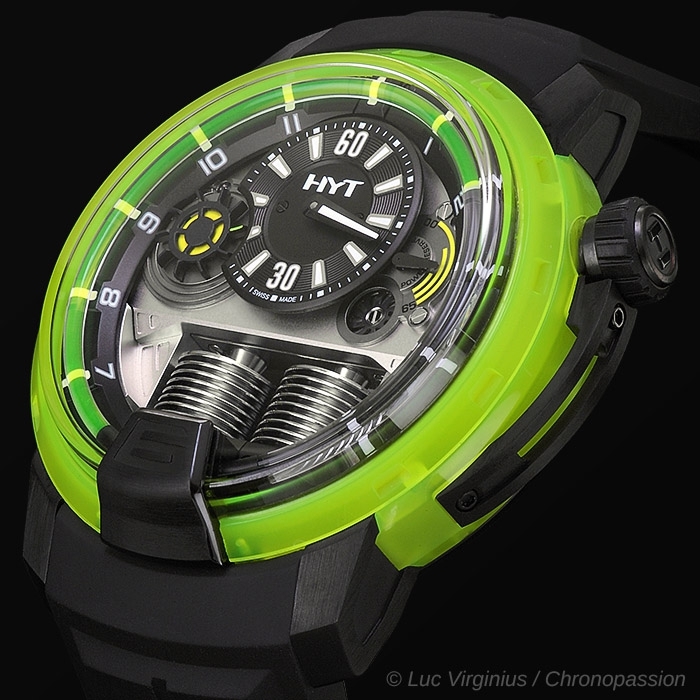 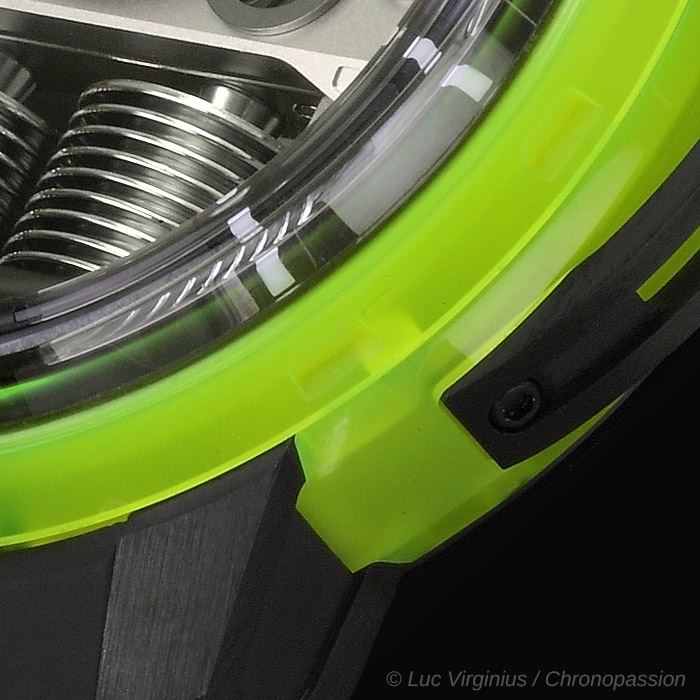 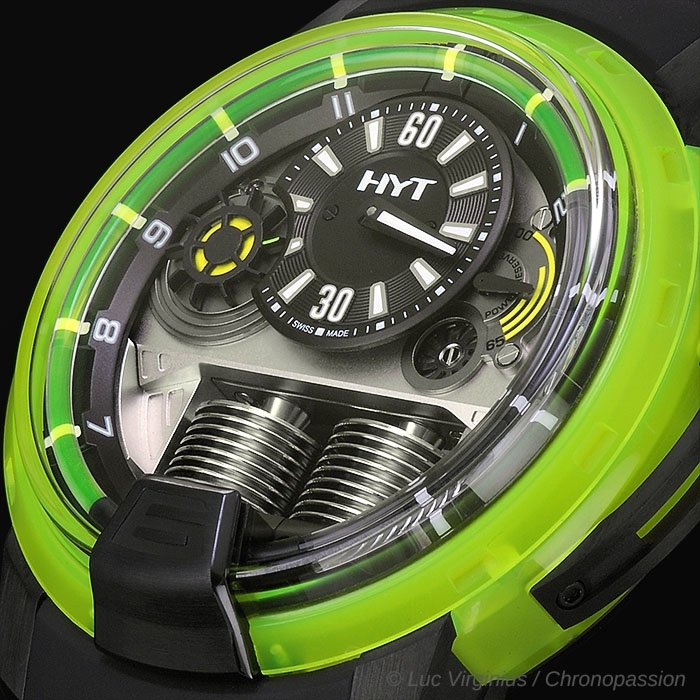 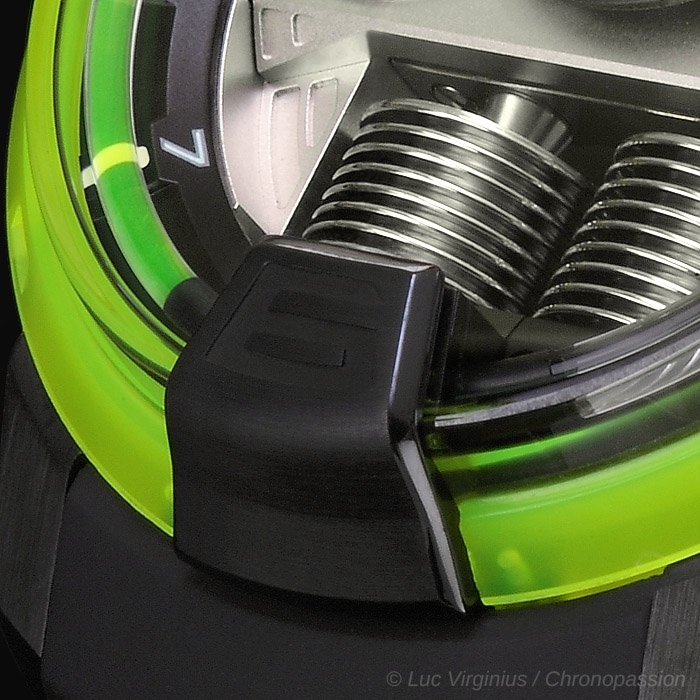 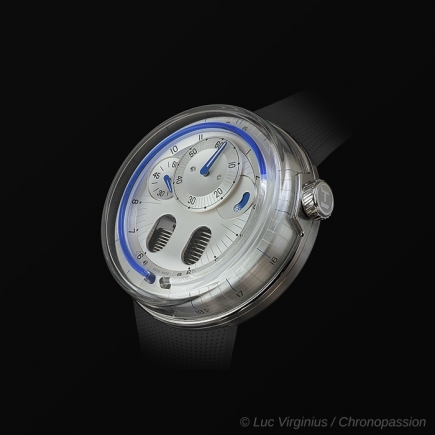 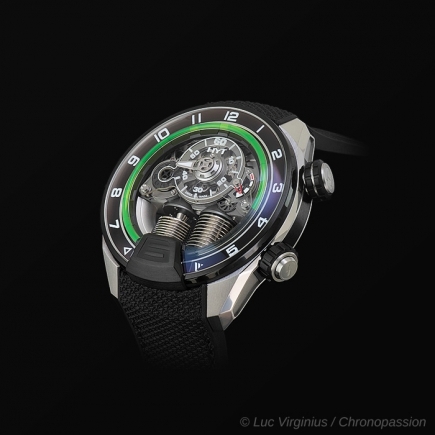 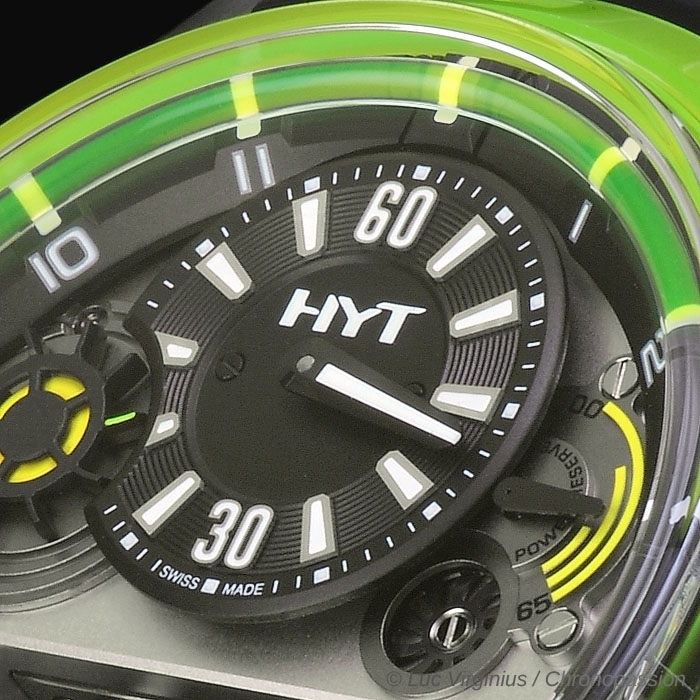 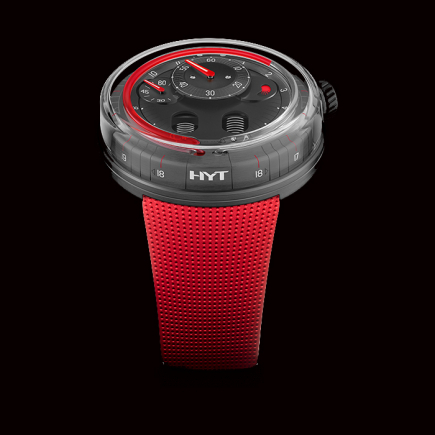 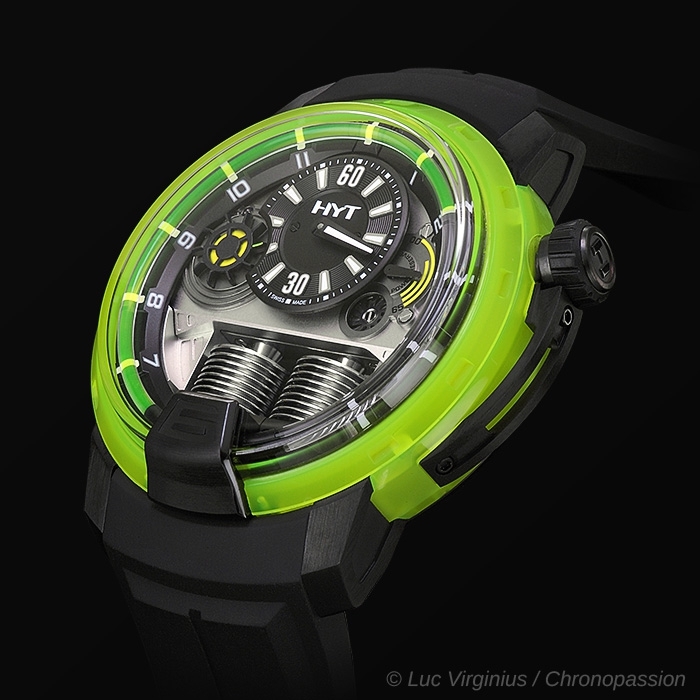 HYT | 63'000 € Tax inc. 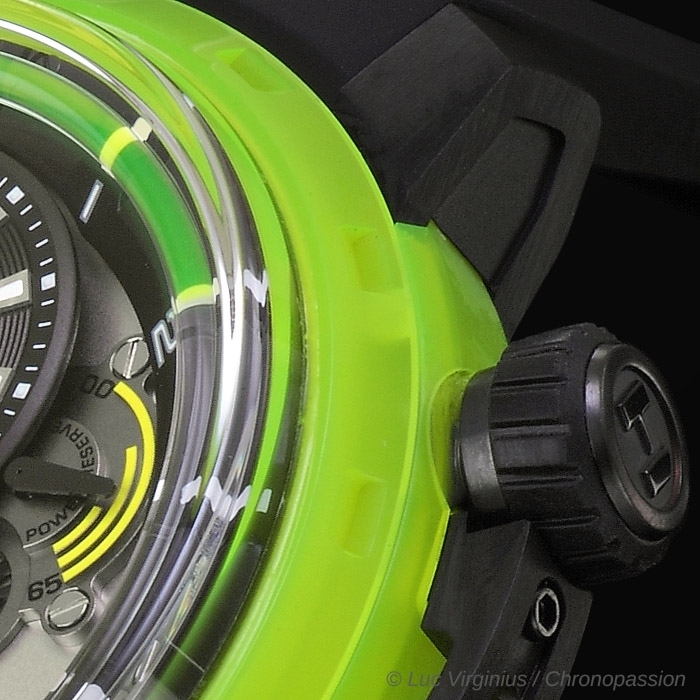 Neon colours are back brighter than ever. 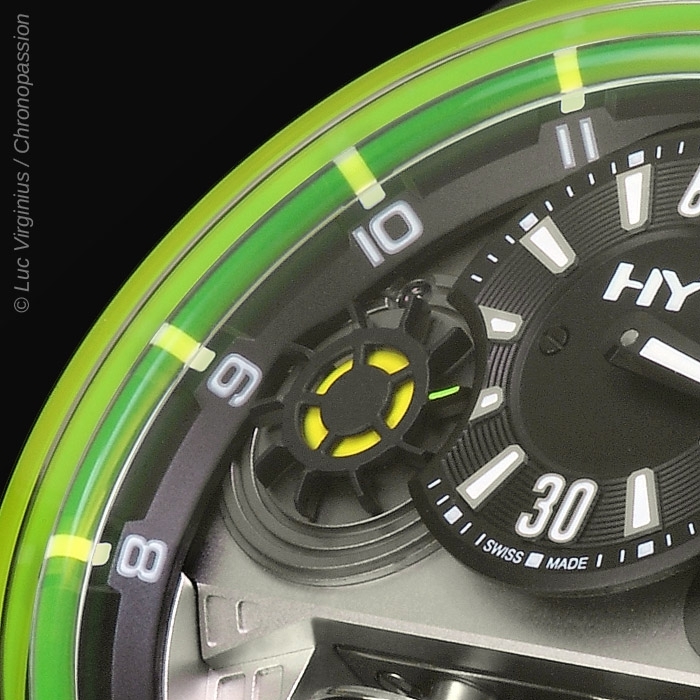 As trendsetters, the Hydro Mechanical Horologists push the limits beyond with the launch of their colour-of-light watch this fall.